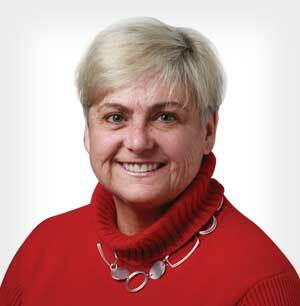 Pat Bailer is Vice President and Head of Claims in Gen Re's North America Life/Health division. She is responsible for claims management leadership for Gen Re's Disability, Life, Critical Illness, Long Term Care and Medicare Supplement products. 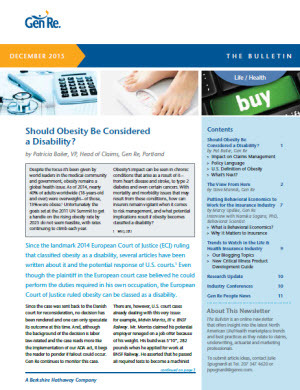 Articles in this edition include: Should Obesity Be Considered a Disability? 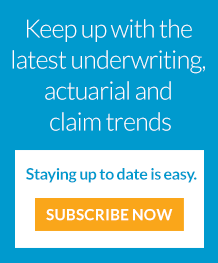 ; Putting Behavioral Economics to Work for the Insurance Industry; Trends to Watch in the L/H industry. Also our research surveys, conferences and people news.